I recently finished the book Symphony for the City of the Dead: Dmitri Shostakovich and the Siege of Leningrad by MT Anderson. It's a moving account of how music can stir our passions and give us the will to survive. 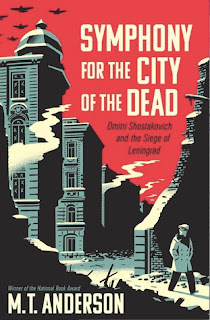 Leningrad during World War II was harsher than many dystopian settings we're given in fiction, and it all really happened: barbaric leaders, purges, cannibals and streets full of dead people. 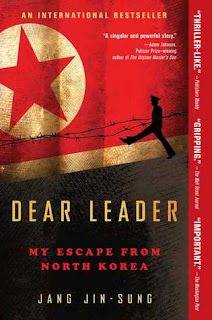 I've only started Dear Leader: My Escape from North Korea but it struck me while reading that we in the YA community have been writing dystopias, and people like Jang Jin-sung have been living them... And the real dystopias are so much more chilling than any imaginary world could be. 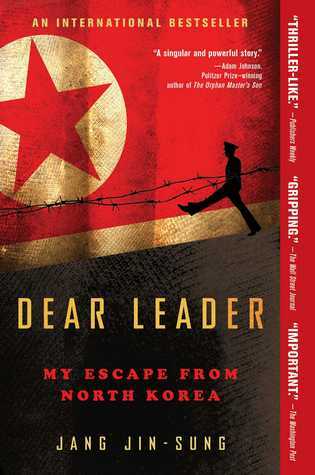 This is one of many books I've read about North Korea lately, but this is the first from the perspective of an insider to the regime. This man truly, earnestly believed himself to be living in a utopia, with a living God presiding over it, and he comes face to face with Kim Jong Il and is shocked to realize his leader is capable of getting blisters on his feet. There's a moment when Kim Jong Il sheds a few tears hearing a moving song, and all the men about him find themselves swept into uncontrollable weeping just at the sight of that... It's difficult to imagine the sheer psychological terror gripping such a society. It's a horrific but fascinating read. Sometimes, when it comes to dystopians, truth can be harsher than fiction. I actually saw Seventh-Heaven when we died: you couldn't GET any moe curly, party-hardy-endorphins, extravagantly-surplus-lush Upstairs when my beautifull, brilliant, bombastic girl passed-away due to those wry, sardonic satires. Everything's larger in the Great Beyond, dear... especially the wird PHOOD. This was a wonderful book to show the true horrors or war and the evil men can do to each other for state or religion. I highly recommend this book and afterwards for you to listen to Shostakovich’s music. THIS BOOK. It's a masterpiece. At once a fascinating biography, a testament to the power of music, and a riveting World War II story that I bet your teens don't know much about (I certainly didn't). Your performing arts kids, your WWII and history buffs, DON'T LET THEM MISS IT. Mobile app development company Bangalore! Android apps development companies in Bangalore! iOS App development company Bangalore! A very nice blog thank you very much for wonderful article sharing. Thanks for sharing a very interesting article about DYSTOPIAN NONFICTION. 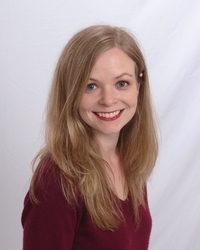 This is very useful information for online blog review readers. Keep it up such a nice posting like this. I like your blog. Thanks for sharing. A very informative post and thanks for sharing it with the community! Great post. it is very useful and informative. Thank you for your sharing this wonderful post. Keep more like this. Comment was superb it’s really helpful for me a lot,Thank you for share my blog. Superb this blog was really helped me, Thank you for share my blog. This blog was great it’s really helpful for me, Thank you for sharing my blog. Awesome blog comment, I got a lot of valuable information by this. Mobile Apps Development Company: Thanks for this valuable information. Very nice blog, informative. Any one wants to avail digital services from trusted source then Limra Technosys is one of the best name in the digital market. Limra Technosys is leading Mobile app development company in Mumbai. From past seven years Limra Technosys is providing its amazing services to more than 500 reputated organizations in versatile businesses. Below are the leading services which Limra technosys is provided. This is the exact information I am been searching for, Thanks for sharing the required info with the clear update and required points. To appreciate this I like to share some useful information regarding This Topic which is the latest and newest for me. Keto fuelIf time. The very first aspect you should look for when choosing diet strategy strategy middle is flexible buisness middle is nutrition education. Make no mistake, nutrition plays a critical role in weight-loss, so don't fool yourself about not having to concentrate on what you put in your physique system. Whether you can find nutrition education in the type of a staff nutritionist or some other indicates, a health club worth attending should provide some kind of nutrition education. amazing blog layout! How long have you been blogging for? Get Free Girls WhatsApp Numbers List Latest 2019 you make blogging look easy. I Got some good idea by reading this topic. Great information thanks for sharing such a nice blog with us. https://www.writingpapersucks.com/extraessay-com-review/ and find out beneficial offers. Please keep sharing more such article. I've really like your blog and inspire me in many ways. Follow https://speedypaper.com/reviews and know more about essay writing. This article is very nice. Thanks for post. سلامة أفراد أسرتك هي مهمتنا شركة كشف تسربات المياه بالمدينة المنورة لذا تواصل و تعاقد معنا لإنجاز مهمة الكشف الدوري عن تسربات المياه في المبنى الخاص بك للتأكد التام من سلامته و تنفيذ الحلول المناسبة إذا تم اكتشاف أي تسربات و معالجته و ذلك بهدف توفير عامل السلامة و الأمان للبنايات و كل هذا بأسعار مخفضة تنافسية إذا ما تم مقارنتها بأسعار الشركات الأخرى و الخزانات الأرضية تحدث نتيجة وجود خلل في الطبقة الأسمنتية التي تبطن الخزان أو التي توجد بالأرضيات و يكون لذلك دواع سلبية خطيرة و في مقدمتها ارتفاع فاتورة المياه نتيجة وجود المياه داخل التربة دون الاستفادة منها .